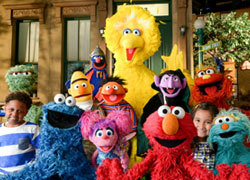 Discussion in 'Classic Sesame Street' started by Redsonga, Feb 27, 2008. I was looking at the wiki and found the page on this episode. I was eight/ nine when this episode was made..and even though the page says it was never aired I do remember seeing it on my PBS station.I was wondering if there could have been a chance my area was a part of this 'test study' the page talks about? My parents have been divorced since I was three so I recall the episode actually having a deep effect on me. That would be neat to hear about. I know most about the episode just by reading it but cool to know that you might have been the city or town that they used this as a test study. That is interesting! Well as best as you can remember, do you think it helped you understand the concept of divorce, or did it just leave more questions? Without trying to get too personal of course. I remember it actually made me feel worst about divorce than I had felt before . It was sort of as if I could see the really bad time Snuffy's family was going though and could'nt do anything about it. I actually think I blocked out the part about Snuffy's daddy because I have always been a daddy's girl and the idea of Alice's never coming back (it seemed to me as if he was never returning from the feeling of it ) was just too much for me. My parents are still good friends you see, so I did not get why it could'nt be the same for Snuffy's. Hmm, yes that's a very good point. I know it's not exactly the same but they've shown regular characters getting divorced or separated on The Simpsons and South Park and even on shows like that, it made me genuniely sad and angry to see them going through it. That's interesting that it seemed to you that Snuffy's Dad wasn't returning. The Wiki article said a lot of kids didn't seem to understand that the Dad would be back on weekends. To me, that seems pretty obvious that they wouldn't get it. Little kids don't always comprehend the passage of time the way adults do. I didn't even know what a week was until grammar school. I mean, I knew the days of the week, but the full concept of a week. And also many young kids often don't understand the concepts of trust and anticipation yet. Just because Dad has come back every weekend so far, that's no guarantee in their minds that he will continue to do so. he Wiki article said a lot of kids didn't seem to understand that the Dad would be back on weekends. To me, that seems pretty obvious that they wouldn't get it. Well maybe it's sort of like with the Mr. Hooper episode. They wanted to focus mainly on the most disturbing aspect of dying (obviously that the person is never coming back) so kids wouldn't get a false sense of security. Wow! That's amazing that they actually showed this episode where you live. I think it's great that they did! I'm just surprised no one else ever talked about seeing it before..Maybe they blocked it out of their memory ? *pokes at wiki* I wonder would I be allowed to edit it with what I know? I'm not sure but It would be worth a try. 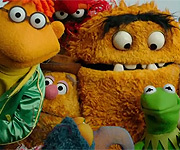 I just shot over to Muppet wikie to re read the articel, and i have some things to say. First: You can edit it all you need to do is log in to do so. If your not a member you more then lilky can become on fairly easy. Second; I think this would have been a better idea for a Video or DVD. That way parents can use it as a tool to help explain what is going on with there own lives. The key there would be that the whole family would need to watch it and talk about it afterwards. To me it had even more emotion in it because it was Snuffy. I could have cared less if it was some human like muppet or Elmo. The fact that he was so un-human and still having this trouble was really something to me...Something about those big sad eyes I guess. I don't know. It might be best to ask on the talk page first. Muppet Wiki seems to frown upon making pages or sketch descriptions based on memory, especially not memory from that long ago.